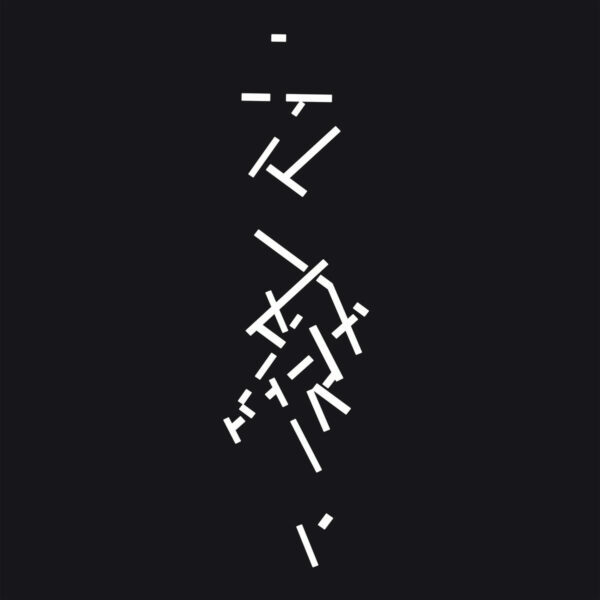 There are three long works represented on this release, called Selected Early Keyboard works (BLANK FORMS BF-002 / EMPTY EDITIONS EE005). I think they were recorded in 1976, when Hennix appeared at the Moderna Museet in Stockholm at a festival called ‘Brouwer’s Lattice’ – named for a mathematician who had ideas about intuition in algebra. Hennix had discovered ways of expressing these complex ideas into wave-forms using algorithms and computers. Hennix was empowered to do this mainly because she’d heard so much free jazz in Stockholm in the 1960s – proof positive that Miles, Trane, Dolphy and Cecil Taylor can liberate the mind in exciting ways. Today’s double LP may represent the rehearsal tapes from this 1976 art installation; at any rate they all feature Hennix herself playing the Fender Rhodes and other tunable electronic keyboards. This may or may not be connected with the music of her just intonation group, The Deontic Miracle, who were performing the music of Terry Riley, Terry Jennings and La Monte Young at this time – as well as her own compositions of course. I wish I could be more precise about this, but the press release is a bit sketchy. The music is gorgeously beautiful, though. Sides A and B are occupied with parts I and II of ‘Nouvelle Mode Des Modalités’, a piece for a Well-Tuned Fender and Sine Wave Drone. What I hear is strikingly original music composition and realisation; no strong traces of influence or borrowings from any of the American “downtown” musicians named above. If anything, Hennix seems to have picked up more ideas from Cecil Taylor here, apart from the idea that all music has to be performed at 200 MPH in a high-energy mode. Instead, this ‘Nouvelle Mode’ promises gentle pastoral mysteries and unknown beauties, conveyed almost in the form of a dream. With La Monte Young’s interminable Well-Tuned Piano, I’ve always had the sense that we’re being invited to admire the forced dissonances that he plays on the piano that took him several days to tune, as we shed years of musical conditioning in the new purple freedom he offers. I’m instinctively more drawn to the strange world of Hennix with its spare, vaguely jazz-inflected runs and sparsely dotted notes, for reasons I don’t understand myself. Part II of ‘Nouvelle Mode Des Modalités’ seems to have an electronic component added to the keyboard playing – at any rate it sets up a heavenly drone that we can happily climb inside. Having staked a claim for “total originality” above, it’s plain to anyone with a pair of ears that a certain Terry Riley influence (from around the time of his Persian Surgery Dervishes masterpiece) can be discerned here, but that’s a good philosopher to follow. Again, the restraint of Hennix is admirable; she didn’t feel compelled to overstate her occasional keyboard flourishes. ‘The Well-Tuned Marimba’ is a titular nod to La Monte Young, nodding sagely in his beard and hat; it was performed with a Yamaha keyboard in just intonation, a sheng, a sine wave, and live electronics. I believe that’s Hans Isgren playing the amplified Sheng; he was a member of the Deontic Miracle. “An undulating marvel of lysergic drone”, gushes the press release, but I will admit that there is indeed a very fluid quality to the music, which flows and tinkles like a clear stream of mountain water. There’s both a gentleness and a firm precision in the percussion parts, while the sine wave drone adds a slightly sinister tone of foreboding and mystery. I suppose I must have been a just intonation “sceptic” for most of my listening days, since I now feel I’ve become a convert to it. The music has all the natural perfection of a rare crystal; can it be simply the application of algebraic structure that brings us to this point? The last piece is called ‘Equal Temperament Fender Mix’, again using the Fender Rhodes tuned to 12-tone equal temperament and enhanced with a bit of digital delay. Once again I’m amazed by the very precisely-delineated notes, which stand out with the clarity of a rimshot on a snare drum, combined with a more suffused effect which I presume is created by her very active left hand performing spontaneous arpeggios to create a luscious, airborne drone. The feeling of dreaminess is not conveyed simply by mesmerising repetitions, but rather by the creative spirit of the artist herself, fuelled by intellectual curiosity. Here, as with all the music on offer, it’s successful evidence of her intuitive mathematical philosophy, somehow recast into music. Miraculous. I see I’m late to this particular reissue party. Important Records in the US have already put out a CD of the music of The Deontic Miracle, called Central Palace Music (2016), and two other (more recent) Hennix recordings as well. I expect to be investigating these and hope you will too. Amazingly, this record is the first time the music of Hennix, evidently an important musician, has been pressed on vinyl. Unreserved recommendation for this superb release. From 17 August 2018.